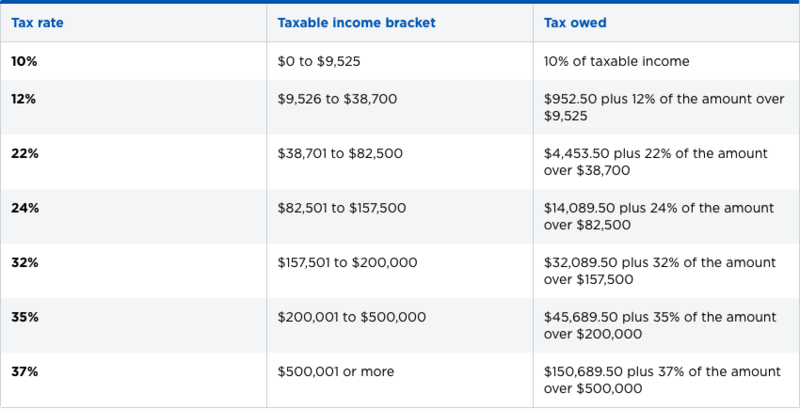 Keep up to date on the latest changes in the federal income tax brackets with Brilliant Tax. 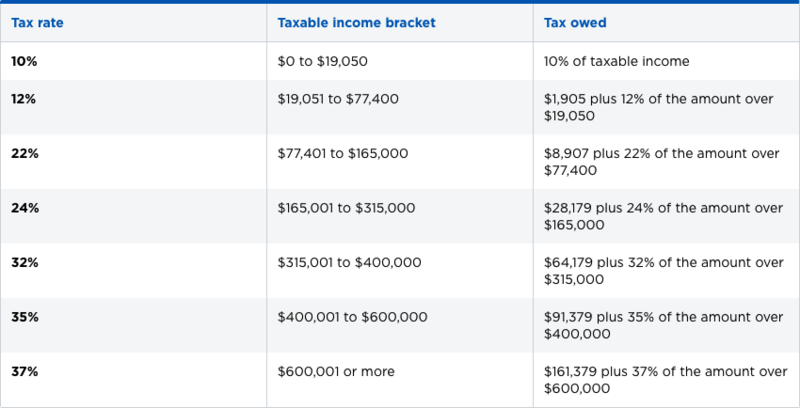 In 2018, there are seven federal tax brackets: 10%, 12%, 22%, 24%, 32%, 35% and 37%. 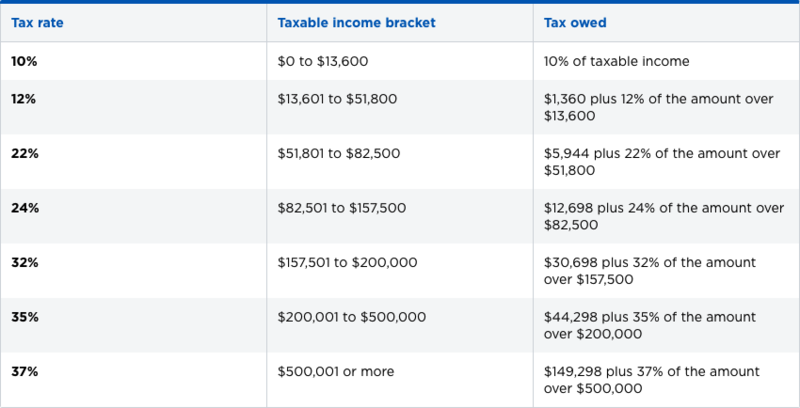 The bracket depends on taxable income and filing status. 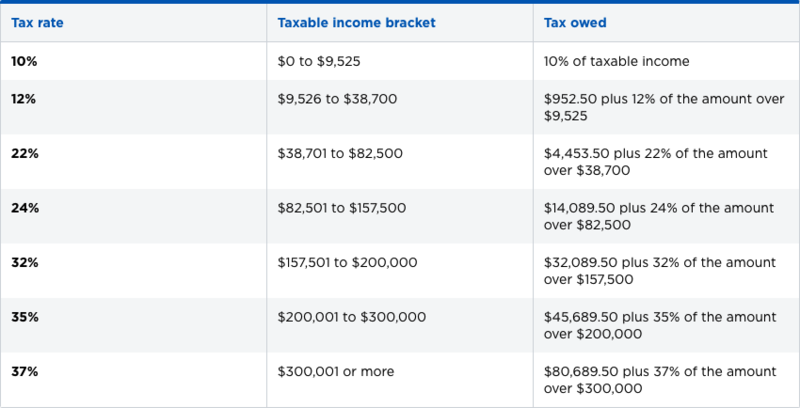 Our table shows the tax brackets and federal income tax rates that apply to the 2018 tax year and relate to the tax return you’ll file in 2019. Being “in” a tax bracket doesn’t mean you pay that federal income tax rate on everything you make. The progressive tax system means that people with higher taxable incomes are subject to higher tax federal income tax rates, and people with lower taxable incomes are subject to lower federal income tax rates. That’s the deal only for federal income taxes; your state might have different brackets, a flat income tax or even no income tax at all. If you’re ready to file, please feel free to request a free consultation so we can help you take care of your tax filings. In the longer term, taking steps to reduce your taxable income can go hand in hand with financial planning and for estate planning. When you need a professional accountant to help with financial planning, estate planning, or a tax consultation, we are happy to help you in any of these areas. The importance of detailed attention to your taxes and financial situation should never be overlooked. If you’re looking for help with bookkeeping and payroll for your business, look no further. We understand all the rules and regulations of changing laws and IRS guidelines, and we can also help you if you’re incorporating for the first time. Tax preparation and tax planning are two different things, but both are very important to ensure you’re maximizing your returns. Our tax accountants can help you with both, as well as helping to resolve any outstanding IRS problems you may be going through.